Morillon Blanc is the original name of the Chardonnay. This wine is made from botrytised Chardonnay grapes that have been vinified as a dry wine partly in barrel and partly in steel tanks. The result is a deliciously soft sweeter smelling Chardonnay but with a pardoxically dry style. A really interesting wine. A fuller and very smooth, yet juicy unoaked Chardonnay fruit from the Pouilly Fuissé area. Compare this against other Saint-Vérans and we don't think you'll find one of better value. Delicious. Ménétou made its name some years ago as the less well known neighbour to Sancerre at a lesser price. Nowadays Ménétou wines can be of about the same price so they need to have the quality to support this status. This excellent example is crisp and fresh and still represents exceptional value. Made predominantly from Grenache Blanc with Clairette, Picpoul and Viognier, the juice is cold fermented to retain freshness. It has light, floral aromas, with more softness and fullness in the mouth and finishes with a little spiciness – a lovely marriage of flavours that makes it so good to accompany various lighter foods. This wine is regularly applauded by the wine guides and critics. Montagny is another of the four main wine producing villages in the Côte Chalonnaise and produces lighter styles of dry white wine from the Chardonnay grape. Buxy produces the majority of all Montagny and this particular Premier Cru is full of dry flavour and is of excellent quality. Good for your special entertaining. Maurice Tremblay's Chablis wines come from a very respectable producer and we have succeeded in finding you great value for your money. Tremblay's wines have the	"minerality" of a classic Chablis but also have a deliciously full dry fruitiness on the palate, with a long aftertaste. Forget the bland Chablis sold by multiple retailers, this wine is classic proper Chablis. Outstanding value. A good example of a classic Gewürztraminer: fragrant but dry with an aroma reminiscent of lychees. Delicious, refreshing and different - the perfect partner to most first courses and it even goes well with spicy food! Regularly described by you as one of the best Gewürztraminers, especially at this price. As soon as you put your nose to the glass, you can tell this is a bit special. It has freshness combined with minerality and a light "lemony" oak. In our view, best enjoyed young, this is a wine that goes well with food, whilst also being easy to appreciate by itself. Viré and Clessé are two villages in the Mâconnais, so this wine’s provenance is self-explanatory! Made by one of the most respected family domaines in the village of Uchizy, this wine is light but has a gentle creaminess to it and has a remarkable long grapey “finish”. A good dinner party wine without breaking the bank. This wine from the village of Pouilly-sur-Loire is just how it should be-dry, light and fresh Sauvignon fruit with a hint of spiciness. It's crisper in style than our Sancerre. This is an immediately impressive wine from this small family producer. Sancerre wines tend to have a little more softness than those of Pouilly Fumé, made from the same Sauvignon grape. Franck Millet is actively involved at every stage of the wine’s production and is generally recognised as one of the area’s best small producers. This gem, full of dry Sauvignon fruitiness, is soft and smooth and is a regular medal winner when entered into competitions. A good quality Burgundy, made from grapes grown in the hills behind Meursault and Montrachet in the Côte de Beaune. The wine has been partially aged in oak casks but it’s delicate and fresh. You could happily keep this wine for another three years. Ideal when you’d like to enjoy high quality but good value white Burgundy. Faller is based in the picturesque town of Ribeauvillé, where many of Alsace’s best Rieslings are produced. Fabulous: from argilo-calcareous subsoil, this wine is bone dry but with plenty of typical Riesling flavour. We always compare Faller’s wines very favourably against Trimbach’s – but at so much better value. This wine is of a Grand Cru quality. A fresh floral, yet honeyed, style made from 60% Marsanne and 40% Roussanne vinified at low temperature in stainless steel. Lovely to drink by itself or during a meal of fish or white meat. It’s something a bit special! Good to drink over the coming three years. This dry white is made entirely from Marsanne grown on limestone and granite. 30% of the juice is then fermented and aged in oak, with the balance made in stainless steel vats. In Spring, these two wines are blended. The result is a fresh aromatic style, backed with a little spiciness from the distinctive soil and the oak. With its complex flavour, this is probably best to enjoy with white meats or creamy cheeses. Should remain good for at least another three years. A bone dry wine made from 100% Chenin Blanc that could age over the next 10 years with no problem, to become fuller and softer in style. This Premier Cru Chablis has more body and apparent fruit in the mouth than a "straight" Chablis and	it represents exceptional value. Maurice Tremblay's Chablis are widely respected, having much of the steeliness of character that characterise the better wines of Chablis. Sauternes is still known as the producer of some of the greatest sweet wines in the world. This sweet wine has a light, floral aroma and on the palate, the wine opens out to become richer. Made from Sauvignon and Sémillon. This wine has probably been awarded every top medal there is to be won in any competition that it is entered for. A beautiful Lirac made from 50% Viognier and 50% Grenache and fermented in new oak casks. It is fresh yet it has lovely spicy fruit and oak flavours. The owner of the domaine is fanatical about opera! A top quality sweet wine made from individually picked botrytised Sémillon grapes that are then vinified in oak barrels. The result has a smooth fruity style reminiscent of apricots and cream! A wine to serve either with a first course or with dessert. We believe you will enjoy this! A gorgeous slightly oaked white Burgundy from this important village just north of Beaune. With only 2% of the production in white, this wine is minerally and fresh and has the capacity to age well over the next year or so. A great white Burgundy from a great year at excellent value. This Premier Cru is packed full of fruit, in a Chablis sort of way! The vines are aged between 25 and 45 years and the wine is made in the traditional way by this producer - not oaked at all. As soon as you put your nose to the glass, you can tell there is something special to come – and the flavour does not disappoint. This will keep happily another five years at least. A gorgeous wine. Lyre’s Muscat grapes are harvested late in mid-October by which time they have shrivelled slightly, expelling water from the grapes. The juice is fermented and aged in oak for 10 months. The finished product is an elegant sweet nectar that appears to be full of exotic fruit flavours. Elegant packaging too! One of our most popular white Rhônes, produced by Gilles Ferran – a dry white made from Roussanne, Marsanne and Viognier grapes but vinified in the style of a top white Burgundy. An "alternative Burgundy" of fabulous value. As strange as this may sound, if you appreciate "great" white Burgundy, you will LOVE this. Simply: a beautiful wine. It has a fuller flavour, that being typical of this village. With its lemony creamy character and a really long aftertaste, this wine is sensational now but can also stay good for at least two more years. Grand Cru Alsace production is tiny - with low yielding vines of the highest quality. This is a delectable, dry fruity Riesling that makes really refreshing drinking. Probably best served with a meal, this is an impressive wine by any standards but at this price, it's also a bargain. Limited stock remaining of this rare wine. Whilst still young, in this high quality wine you can already taste several different flavours reminiscent of apricots and exotic fruits et al. This dry and spicy wine is a masterpiece-and it will be very long lasting. This is a "pièce de resistance" from Faller who own some of the greatest vineyards in Ribeauvillé. This wine is off-dry but has a fine balance of fruit, spiciness and finesse. A Grand Cru in every sense. Alain Gras is the acknowledged "king" of Saint-Romain wine making, and he tells us that his wines are found in almost every Michelin three starred restaurant in France. His is the classic white Burgundy that is made to age. His wines are made from 40 year old vines, fermented and partly matured in cask and then bottled after 12 months. This wine is lovely now and will keep improving for another 18 months. With the shortages of white Cote de Beaune becoming more apparent with every passing week, we have found this excellent fuller style of Auxey, with a good balance of rich oak, minerality and fresh fruit. Perfect for current drinking. We have admired this white for many years now, since the running of the chateau was taken over by Paulin Calvet, nephew of our great family friend Jean Calvet. This dry white has a lovely soft richness of flavour which is partially derived from having been fermented in 20% new oak. Made from 60% Sauvignon with the rest in Sémillon, this is a very fine full-flavoured white Graves. This Premier Cru is packed full of fruit, in a Chablis sort of way! The vines are aged between 25 and 45 years and the wine is made in the traditional way by this producer - not oaked at all. As soon as you put your nose to the glass, you can tell there is something special to come - and the flavour does not disappoint. This will keep happily another five years at least. A gorgeous wine. In our view, En Remilly is the most attractive of the white wines from the Saint-Aubin appellation. This example is decidedly underpriced for its quality and compares most favourably with wines from "greater" or well-known producers. This is very fine wine by any standards, with a subtle balance of oak and fine minerally white Burgundy flavours. Great to impress your guests without breaking the bank. Only a few cases remaining – 2018 not being bottled until summer. A very fine dry wine made from 20 year old Chenin Blanc vines by the great winemaker Jacky Blot. This has a full aroma but is light in style - perfect with summer food. We have kept this wine back for a few years but it is now in our view at perfection. Limited quantity. This is a great value wine from a single vineyard within the Meursault appellation, produced by a small family grower. Delicious to enjoy for another five years, this wine has the slightly "nutty" character, backed with a little oak, that we believe one should expect from a decent Meursault. Subtle nuances sweep across your palate with this delicious top Burgundy. The wine is fresh, almost citric in style with a backing of new oak giving a wine that will improve even further over the coming five years. The village of Pernand-Vergelesses, just behind the hill of Corton makes some spectacular but often overlooked reds and whites. Condrieu is the rare aromatic white wine made from a low-yielding variety of the Viognier grape. It has an aroma of melon and white fruits and is medium bodied but dry on the palate. At the moment, the wine has an attractive freshness and it can develop and broaden out in texture over the next few years. Château de Citeaux, the original home of the Cistercian monks in Burgundy, makes classic Meursault: smooth and slightly “nutty” in style. This is of a Premier Cru quality, but without the usual price tag. It is magnificent – a real pleasure to drink, offering excellent value for a mature white Burgundy of such high quality. With recent yield shortfalls, such high quality wines are increasingly hard to find at a sensible price. Buy now. Aromatic, sweet lusciously flavoured, this is not heavy but is a delight to savour at the end of your special meal. The bottle will serve 9 people happily but if there should be any left in the bottle, as always with a sweet wine, put it back in the fridge and it will keep for several days or even weeks. Exquisite – this specific wine is one of the finest white Burgundies you could wish to taste, and shows off everything that is so great about these top white wines. Very elegant, with a long fresh fruity style backed with a tiny amount of new oak. Complex, classy and, quite simply, delicious. Aside from Château d’Yquem, Suduiraut is probably one of the very best Sauternes names. This wine is of course enjoyable now, but if you were to keep it a little longer, it will improve and harmonise further. A lusciously sweet masterpiece from Faller who own some of the greatest, Grand Cru, vineyards around Ribeauvillé. A bottle of this will astound you with its balance of power, fruit, sweetness -and of course, its finesse! Monsieur Faller compares it with Château d'Yquem in Sauternes! When tasting this wine from cask, it has always produced gasps of awe. It is fabulous with a very long lemony fresh fruit backed with a fine oak, this is the best of the best in white Burgundy but at such a reasonable price compared to so many other producers. As one might expect from the Minervois appellation, this wine has a full, rich and slightly earthy texture that makes it so good to go with richer foods. This wine is very fruity and offers easy drinking and great value. This extra-ordinarily delicious wine is made from Grenache, Cinsault and Cabernet Sauvignon. With an appealingly full and juicy red fruit flavour, this is a great example of the new quality coming from the Languedoc. The bottle also has a stylish presentation. It’s one of our best "must try" wines. A lighter style of fruity red wine from the Côtes du Rhône that is made predominantly from soft and slightly spicy Grenache. An honest inexpensive red from the co-operative in Saint-Priést that has a gentle fruity flavour and is really easy to enjoy. Good quality and well-priced. For some time, we were searching for a decent Côtes du Ventoux at a sensible price. When these wines are good, they tend nowadays to be too expensive in our view. Otherwise they are mass-produced bland wines. However, here we have found a wine that is cherry red and full of gorgeous juicy succulent fruit. A delicious wine that offers fantastic value – well worth trying! The area of Fitou in the Languedoc makes its reds from Carignan, Grenache and Syrah - grapes that give soft generous flavours. An easy drinking, slightly spicy red that we'd suggest shows at its best when served with red meat or cheese. Leave this open for an hour and it develops a smooth silky texture. Domaine Bassac has its vineyards at high latitude in the Languedoc and makes very good varietal organic wines. We have been asked so often for a good Merlot and this wine ticks all the right boxes. So here you are: it’s rich, fruity and utterly delicious! Good Syrah is not easy to find at a sensible price. Organic Syrah: even more so. We have found from the Hérault area this gorgeous wine with its purity of soft juicy, almost jammy, fruit. It seems to us as full and smooth (and good value) as Rioja used to be. Easy to appreciate. A wine that is full of firm Cabernet fruit that appears to have been softened in oak, to be almost soft and juicy. Yet there is no oak in this wine; the grapes have simply been picked at optimum maturity, giving ripe soft fruity flavours. We believe that this organic example will demonstrate to you just how a wine that is 100% Cabernet Sauvignon can still be deliciously fruity. An excellent mid-weight and slightly spicy wine made from Grenache Noir, Carignan, Syrah and Mourvèdre grapes by the Gualco family who, incidentally, launched the Vigneron Independent movement. This is a red wine with plenty of red-fruit flavour yet it retains elegance. If you like warm favoured southern reds, we believe you will love this. A good quality full flavoured claret, made under the supervision of the owners of the great Château Kirwan in Margaux. A deliciously rich and smooth wine. A really good everyday claret that knocksspots off others' much more expensive wines! This wine replaces the Château Saint-Romans 2010. Called “The Cherries” because the wine evokes the freshness of this fruit. This is one of the most attractive wines we have tasted from Saint-Chinian. There is a predominance of Syrah with almost equal measures of Grenache, Carignan and Cinsault grapes and the wine’s style is rich and fruity in flavour, without being heavy. With an attractive label, this is a really interesting wine that represents extra-ordinary value. We have recently upgraded to this superior blend that contains this most interesting contrast of flavours. The wine is mid-weight, succulently juicy and slightly spicy and we hope that you too will find it delicious and easy to appreciate. We were so taken with what our friends at Domaine Bassac were doing with these grapes that we decided to have them make up this blend. The wine is succulently juicy and soft and we hope that you too will find it delicious and easy to appreciate. A delicious new wine that is full of soft and slightly spicy Grenache. Classic labelling too makes this very presentable whether for a kitchen supper, a smarter dinner party or a wedding. Mid-weight in style, this wine is completely dependable and offers you super value for a small price. Quite excellent. Typical Claret: soft and fruity with a long dry finish. From an excellent year, this red wine from the Entre Deux Mers region is ready to drink now but we believe this inexpensive claret will remain good for another couple of years. Best served with lighter meats. Stunning – this is a memorable wine. There is the label to start with, not that you should judge a wine that way, and then there is the rich brambly aroma. Finally the many concentrated fruit layers of Syrah, Grenache and Carignan leave you in no doubt that the winemaker and the terroir have combined to produce a modern style of "Big Red". Lascours’ special "Nobilis" blend is made from 60% Syrah, 25% Grenache and 15% Mourvèdre, so the wine has complex aromas of wild spices, fruits and tannins. From the château’s 35 hectares on sandy-chalky soil in the Pic Valley, this is a stunningly juicy wine and we hope you, too, will love it. Typical of this region, this red has a soft dry fruitiness derived from the Cabernet Franc. Mr. Bruneau, the owner and winemaker, is a perfectionist even to the extent of not using pumps to transfer his juice so as to retain maximum flavour. This very attractive wine is best when served with light food. A double medal winner. A delightful fresh and fragrant style of Pinot Noir, that offers super value for money. The wine has plenty of persistent light juicy fruit and in particular, makes delicious summer drinking. A warm, rich and spicy wine made from an exotic blend of 40% Grenache, 20% "old" Carignan. This wine has been aged in oak so as to develop complex aromas and a softness on the palate, with a very long "finish". It is full of fruity flavours. This is the best of its type and offers amazing quality and value. If you liked La Bette, you will love this! One could say that the wines of Fronsac offer wine lovers the taste of good honest Bordeaux, without the higher prices attained in other better known areas. They’re for enjoying, not for investing in! This is an excellent example – full, rich and smoothly fruity. To enjoy now and over the next three years. A Pinot Noir of excellent value, being from the newer Bourgogne Côte Chalonnaise appellation in southern Burgundy. This wine has the lighter Pinot character that is so typical of this southern area of Burgundy. Whilst good to enjoy now, it also has the potential to mature. This top-of-the-range Côtes du Rhône sells out each year within days, thanks possibly to Robert Parker’s consistently high ratings! We managed to buy a parcel of this "outrageously delicious" (RP) wine that is fabulous now but, given the chance, it will improve further over the next 3 or 4 years. Made from 80% 40 year old Grenache and 20% 50 year old Carignan vines. Comte Philippe de la Poype produces “real” Beaujolais – wines that are smooth and full of succulent Gamay fruit. This is a great example with rich juicy fruit and you may be surprised by the “depth” of this wine. Serve at room temperature or slightly cooled to reveal its refreshing qualities. One of our favourite reds: juicy and silky in texture, this is a great and seriously underpriced wine made from Gamay. Corcelette is one of the 6 best “climats” of the Morgon appellation. This is no ordinary Morgon - it has sensational quality and value, and is a revelation. This new wine is absolutely full of fruit. Grown on bluish volcanic soil, the grapes get maximum extraction to produce a rich style that is great to enjoy by itself or with most meats or with cheeses. It is a good testament to the revitalised quality of Beaujolais wines. Exquisite! Comte Philippe de la Poype produces "real" Beaujolais – wines that are smooth and full of succulent Gamay fruit. This is a great example with rich juicy fruit and you may be surprised by the "depth" of this wine. Serve at room temperature or slightly cooled to reveal its refreshing qualities. The much-requested return to our list of this bright star! This wine has the full rich fruitiness of Grenache, Syrah and Cinsault grapes produced in La Livinière, the best area within the Minervois. This wine manages to remain fresh at the same time, and is a great wine by any standards. A good all-rounder and quite gorgeous. This is the superior blend from this lovely vineyard being made from old vines with an age of between 40 and 80 years. The wine has that soft dry fruitiness so typical of the Cabernet Franc grape yet it is full, rich and round with an explosion of red fruits on the aroma. Good to enjoy by itself or with most red meats. A gold medal winner. A full-fruited, spicy but not heavy wine from this dynamic award-winning estate in the village of Rasteau, next door to Gigondas and Vacqueyras in the southern Rhône. This Grenache/Syrah/Mourvèdre wine has a gorgeous mid-weight fruitiness backed with a little spiciness. It will be good over the next two years. Rich in dry brambly Cabernet Franc fruit, this wine is a revelation. It is soft and delightful – probably the best red Chinon we have ever tasted at this price. Made by the ex-head of Couly-Dutheil whom we believe do not produce the same quality across the board as once they did. Pierre and his son prove here what can be achieved from the noble Cabernet Franc – a delicious red that goes well with most lighter food. A seriously understated wine being a bulk purchase from Grand Cru Saint-Emilion Château Lys de Bessede! A delicious softer style "claret" that can be enjoyed now and over the next two years. This is a bargain ! A gold medal winning Bordeaux made from 60% Cabernet Sauvignon and 40% Merlot, resulting in a richer fruity and slightly oaky style of Médoc that should remain great to enjoy over the next three years. Best served with rich red meat. The village of Mercurey in Burgundy’s Côte Chalonnaise produces mostly red wine from the Pinot Noir grape. Its best wines compare favourably with the great wines of the Côte d’Or but at a more attractive price. This mid-weight wine has a lovely soft fruity Pinot character that is delicious to drink by itself as well as with lighter meats and even many fish dishes. You may have thought that Zinfandel was only grown in the USA, but this wine is from the sole hectare of Zinfandel in France. It is of course also known as Primitivo in Italy. The wine is good by any standard, mid-weight with that slightly violet-like aroma. Try it as something different - and surprise your guests! Full, dark and delicious now, it should remain good for another five years. We have always been impressed with many of the Burgundy wines from this family domaine based in the village of Meloisey behind Meursault. This wine is full of smooth juicy Pinot fruity flavours; owing to the vines having an average age of 45 years. Mazilly’s winemaking is hand-crafted whilst offering excellent value – that’s a rarity in Burgundy! The village of Vacqueyras in the southern Rhône produces wines of medium body but with the spiciness that is so typical of that region. You can almost feel the area’s warmth in the richness and flavour of this gorgeous wine! This is one of the most important properties of Lalande de Pomerol with 27 hectares under vine. The wine is 76% Merlot and 19% Cabernet Sauvignon and has a medium weight fruity aroma with fine tannins behind. Good to enjoy now and over the next three years. Pierre Amadieu’s philosophy is simple: to produce wines that are fruity, supple and elegant – not heavy and over-extracted as can be the case in so many Rhône wines. This wine is fruity and his wine making style may remind you of a fine red Burgundy. This is gorgeous – soft but with a richness that comes through on the palate. Fantastic value, and you could keep it at least another 5 years if you wanted. Made by the highly reputed Château Phélan-Ségur, Cru Bourgeois Exceptionnel, this is a star buy – and especially if you like the sturdier wines of Saint-Estèphe. Delicious to enjoy now and over the next couple of years. This is an interesting wine. It’s made exclusively from Grenache vines that date from the 1940s, and has rich and spicy, almost brambly, flavours. Rhône doesn’t get much better than this. This wine will keep for years but it can also be enjoyed all too easily now! Great for your special dinner party – and a magnum looks so impressive on your dinner table. This excellent claret is made by one of Bordeaux's leading winemakers Pascal Delbeck who, for 20 years, was responsible for the wines produced at Château Ausone, the top Grand Cru Saint-Emilion property. The wine is especially good in 2015, being full, rich and soft and is worthy of a much higher price. A wine that should keep very happily until 2022, this is a bargain and is quite delicious. A firmer style of claret from the Médoc that is soft and fruity on the palate and with a dry “finish”. As a prized Cru Bourgeois this classy wine offers amazing value, and tastes very well with most meats or cheeses. If kept, it will also remain good for at least another five years. From a very respectable and underrated year. Excellent value for a mature Saint-Estèphe made from 50% Merlot, 25% Cabernet Sauvignon, 20% Cabernet Franc and 5% Petit Verdot, all traditionally vinified in cement tanks and then 12 months in new oak casks. 32 hectares of argilo-calcaire vineyard in the hamlet of Blanquet at the top of the Médoc peninsula. One of the most reputed producers of traditionally dark Cahors wines. This blend is made from 30 year old 85% Malbec, 13% Merlot and 2% Tannat and has intense spicy fruit flavours - it will last happily for at least another 10 years. The wine for this blend comes from a well-reputed Cru Bourgeois in Margaux and is then bottled by Schroder & Schyler, owners of the 3rd growth Chateau Kirwan. Soft, round and ready to enjoy now, this offers great value. There is a warmth and a sweetness of old Grenache fruit, blended with Syrah and Mourvèdre fruit that makes this an ideal wine to accompany game or other richer meats. Being so deliciously rich, this wine perhaps would be best appreciated in autumn and winter? A paler shade of ruby in colour and on the nose, the wine is rich in Pinot Noir fruit with a little oak whilst retaining a freshness of style. Grown on three terroirs of flint, chalk and chalky clay. This is an understated wine, coming from Comblanchien, just beside the "Clos de la Maréchale", one of Nuits Saint Georges’ greatest Premier Crus. The wine has the style of a great Burgundy – full of Pinot fruit with body. This wine can be enjoyed now but it can also keep another three to five years. This classic Burgundy is mid ruby in colour but has a lovely full Pinot Noir aroma with an elegant fruitiness on the palate. This great value wine This great value wine should stay delicious in bottle for another four years. As the second wine of the great Château Pressac, Grand Cru Classé in the prime Saint-Etienne de Lisse area, this is delicious to enjoy now and over the coming three years. Soft, rich and round, this is a delightful wine by any standards and would be best served with chicken or lighter red meats. Quality wine. Sited in the commune of Cantenac, and run by the daughter of Lucien Lurton this property is now producing very respectable wines at sensible prices. Guided by consultant winemaker Eric Boissenot, it’s 54% Merlot and 46% Cabernet Sauvignon - it’s a firmer style of wine but with an underlying soft richness derived from the terroir. Enjoy now …to 2024? Thanks to the soil in Saint-Estèphe, with its greater support for Cabernet Sauvignon, the clarets of this commune are "firm" in style. Château Beau-Site a consistently good producer and this richer flavoured wine is delicious to enjoy now and represents super value. (2nd wine of Château La Croix du Casse)	The second wine of the famous Château La Croix du Casse, a property that has been acquired recently by the owners of top châteaux Batailley and Trottevieille. This is surprisingly forward and easy to enjoy now, but it will also mature well over the next 3 years. This high quality wine offers super value for a top Pomerol. 45,30€ £39.40 Grown on the limestone soil of Savigny, this red has a fullness of character that makes it good to enjoy now as well as to keep for five years. An excellent ripe-flavoured Savigny made by Jean-Luc Maldant at an affordable price. This gorgeous red is simply packed with juicy fruit - Saint-Romain reds tend to have concentrated Pinot Noir fruit and this example can be enjoyed now or laid down for a couple more years. A bargain for such an easy to appreciate red Burgundy. Patrice Magni cultivates seven hectares of 60 year old Grenache and 40 year old Syrah in Châteauneuf du Pape. His wines are the “proper” full, rich and spicy Rhône wines - and we will be introducing shortly his excellent Côtes du Rhône wine whose grapes are grown within metres of Château de Beaucastel! Top quality. This wine has won a few high scores and prizes (in Decanter and 2 stars in the Guide Hachette). An excellent fuller style Saint-Julien wine, still with an underlying softness. A wine that you can enjoy now or keep up to 10 years. Good value for such a great wine. A lusciously sweet red wine made from Grenache Noir grapes just north of the Pyrenees. In addition to being served at the end of a meal in place of a port, this is one of the few wines that works well with dark chocolate. A wine with an amazing purity of Pinot fruit on the nose, elegant, soft and round on the palate, with an incredibly long “finish”. This is Côte de Beaune Burgundy at its finest. The 18th century Pontac-Lynch is a highly regarded château situated in the commune of Cantenac in Margaux. Made from 40% Merlot, 35% Cabernet Sauvignon, 20% Cabernet Franc and 5% Petit Verdot, this is a richer style of smooth claret that may be enjoyed now and over the next five years. This particular Pommard has a Premier Cru quality. Pommard wines tend to be fuller in style owing to the soil around this village. It is a "generous" wine from a very good year and it will last another five years easily enough. Take advantage now, because there is very little Pommard around, owing to hail damage over recent years! Another great value wine from the family house of Mazilly based in the village of Meloisey. Made from Pinot Noir vines of more than 50 years of age, this regular medal winner has more richness than many similar wines, and can be enjoyed now. It will also keep for another five years perfectly happily. (2nd wine of Château Kirwan, 3ème cru)Charmes de Kirwan, as the second wine of the great Château Kirwan, is made from younger vines and tends to be a fuller style of Margaux – 2015 produced here richer wines with smooth fruit. Fantastic value to enjoy with your dinner guests between now and 2025. A smooth ruby red wine with full yet spicy Pinot Noir aromas. The wine is great to enjoy now. It’s hard to believe that this is wine from the Côte Chalonnaise but demonstrates what a great winemaker can achieve. In 1948, this château was detached from the renowned Château Duhart-Milon, the home of the Rothschild family of Lafite. This wine is full flavoured and smooth, being made from one third each of the two Cabernets and Merlot on prime gravely soil. Great quality. 30,90€ £26.90 A lighter but very pure-fruity style of Pinot Noir from the genius Monsieur Maldant based in Chorey lès Beaune. This lovely wine will get better still and remain in top form for another 10 years at least. One of the fastest rising stars among the top tier of Grand Cru Classé châteaux. With a change of ownership, there has been much new investment in both the vineyards and the cellars and now the wine is a regular medal winner. This 2011 is rich and generous on the palate, and will remain good for at least another 10 years. This is fantastic! A big 100% Malbec wine that is good to enjoy now but that will also keep for 20 years. Made from low yielding vines, the juice is aged in 80% new oak for 22 months. The result has concentrated rich aromas and flavours that will accompany superbly most richer meats. Try it as an impressive show-stopper! The village of Rasteau has always been best known for its sweet red and amber coloured wines. Using the Grenache Noir, Domaine des Escaravailles has produced on is stony clay chalk soils a delicious richer dessert wine. As with most Vin Doux Naturel wines the grapes are late picked and fermentation is stopped by the addition of neutral alcohol. Aged in oak for nine months so as to preserve the fruit. The result is smooth, rich and concentrated sweet red grape juice. Will be good for 20 years. Try it – you should not be disappointed! A rich smooth Pinot wine with vegetal aromas from a fast up and coming grower. The Boursot vineyards are on the edge of the Clos de la Maréchale, one of the finest Premier Crus in Nuits Saint-Georges. Fine Burgundy! This is one of the most decorated and awarded wines of the south, even winning Best Wine of the World in International Wine Challenge’s category Syrah-Grenache-Mourvèdre! This is a smooth and concentrated wine made from 80% Syrah and 20% Grenache. The grapes were macerated for 20 days and then aged in new oak casks for 20 months. If you like "big" wine, this is something very special for you. Perfect with richer tasting meats such as duck. This excellent wine contains all the characteristics that have made Chambolle unique and highly sought. Contrary to other reds from the Cote de Nuits, Chambolle wines should be soft and fragrant and as they age, they become slightly richer and rounder in style. From a very good year. This fine Burgundy is still tasting young and we can tell that it will be good for another 10 years probably. Volnay wines are characterised by elegance and this has plenty of smooth fruit and is medium-weight in style. The wines from this village in the Côte de Nuits are usually of a richer style of Pinot Noir and are becoming difficult to buy owing to strong demand. This wine is excellent and has the potential to last until 2026 at least. Although we say it ourselves, Boursot’s wines are being made better with each passing year: watch this producer. Sensational! 60% Syrah, 20% Grenache, 20% Carignan aged in oak for 2 years, this is a densely packed red with powerful grape, herb and oak aromas. Whilst this goes well with cheeses and red meats, especially those richer meats from the south, this big wine will get better and better over the next 20 years! Buy it now - drink it or put it away, you should not be disappointed. By way of reference, the critic Robert Parker stated: "This wine sets new bases in its appellation…". A gorgeously smooth Margaux that is ready to enjoy now, but which will also last another eight years. Kirwan, named after its one time Irish owner, has 40 hectares on prime gravelly soil across 46 distinct parcels in the commune of Cantenac. This is outstanding value for such a "great" wine from this highly respected château. A full flavoured yet surprisingly elegant wine made entirely from 60 year old Syrah by one of the Rhône's most prestigious negociants with the helping hand of consultant Philippe Cambie. This red will be good for many more years. The 2011 vintage did not have the best reputation but in tasting this wine, we found it to combine the elegance that one should get from Chambolle, but with the solidity from the Premier Cru vineyard of Les Fuées. This is without doubt a great wine that can be enjoyed from now until 2026 at least. A Pommard of very high quality bought at the Hospices de Beaune auctions and vinified by Philippe Bouzereau. Pommard wines are slightly fuller than many of its neighbours, owing to a streak of ironstone that runs through its vineyards. Good for at least another 10 years. As the name “renardes” implies, the wines of this Grand Cru have a slightly “foxy” character or some spiciness. This wine is full in flavour and being from the excellent 2016 this wine will be good until at least 2030. This is a very fine and rare Burgundy. Grenache and Cinsault are the two grapes that have gone into the making of this refreshing rosé. This is a good wine by any standards but it is baffling how such good quality can be produced at this very reasonable price. The wine is light and dry, fresh and "grapey" - perfect for easy summer drinking. Full fruited dry rosé in a stylish clear bottle, produced on the Etang de Thau. With the body of a red and the freshness of a white, this is wonderful for enjoying at all times-even in winter! A great favourite! This property in Provence has a great reputation and produces several wines at different price levels. A pale pink and dry with a light fruit flavour. Typically Provençal! A full dry rosé, with an aroma of red fruits, made from nine different grape varieties, but predominantly Grenache Noir. Highly decorated by the world’s wine critics, we feel you cannot fail to be impressed! Fresh, light and fruity wine from a respectable vintage in the Loire, made from Pinot Noir - simply irresistible. Franck Millet produces classic Sancerre wines of high quality and great value. Very good to enjoy at any time. The twin sister of our excellent sparkling Crémant made by the Méthode Traditionnelle in the Chablis region. Made from Pinot Noir and Gamay, this is pale pink in colour and with a soft fruity flavour, this is a light dry wine that is perfect for summertime enjoyment. This Premier Cru has a fuller pink colour than some rosé champagnes but retains a lovely freshness on the palate. Perfect with seafood and several lighter meat dishes, or simply lovely as a cool refreshing glass of dry fruity champagne. Try it – you should not be disappointed. Presented in a clear bottle with the very attractive RD label. From our ever-popular House champagne producers, the Richard family in Dizy. One of the greatest years of this most special of de luxe cuvées. This collector’s piece is now over 30 years old and, especially being in magnum, is still in great condition. Very limited stock. A top quality sweet wine made, next to Monbazillac, from individually picked botrytised Sémillon grapes that are then vinified in oak barrels. The result has a smooth fruity style reminiscent of apricots and cream! A wine to serve either with a first course or with dessert. We believe you will enjoy this! This is a "pièce de resistance" from Faller who own some of the greatest vineyards in Ribeauvillé. This wine is semi-sweet but has a fine balance of fruit, spiciness and finesse. A Grand Cru in every sense. Aromatic, sweet lusciously flavoured and even, with the taste of "noble rot", this is not heavy but is a delight to savour at the end of your special meal. The bottle will serve 9 people happily but if there should be any left in the bottle, as always with a sweet wine, put it back in the fridge and it will keep for several days. Exquisite – this specific wine is one of the finest white Burgundies you could wish to taste, and shows off everything that is so great about these top white wines. Very elegant, with a long fresh fruity style backed with a tiny amount of new oak. Complex, classy and, quite simply, delicious. Only a tiny quantity remains - anywhere. For the price, or even at any price, this is a lovely wine with its delicate honeyed fruity aromas. In our view, it is better than so many cheap champagnes. If this were a champagne it would be called a Blanc de Blancs, being made entirely from white grapes - in this case, the classic chardonnay, that is used in Champagne. Made in the Chablis area of Burgundy, this is an excellent wine made from two of the three Champagne grapes: Chardonnay and Pinot Noir. A super value wine that is always popular with its softer style, appealing to a wide variety of people. An elegant dry sparkling wine produced in the Saumur region of the Loire, by the Méthode Traditionnelle (once called the Champagne Method). As close as it gets to Champagne, this is excellent for parties - without too great a price. 80% of champagne's volume comes from 20% of the houses or négociants: the big names that we all recognise - Moet, Clicquot, Bollinger etc. Typically these houses maintain contracts with growers who supply them either in grape or in bottle with the volumes required for the houses to fulfil their sales. We have included below some of these very growers, who produce wines with individual character and at very good value. A fine elegant champagne made entirely from white grapes i.e. the Chardonnay. It is made by our friends, the Richard family in Dizy who also make Premier and Grand Cru wines and this is clearly evident in the quality of their "lesser" wines. A very enjoyable wine. A champagne that is sweeter in style from this small family producer in the Premier Cru village of Hautvillers near Epernay. This is a fruity champagne that is refreshing to enjoy well chilled by itself or with lighter fruit desserts. From the village of Hautvillers, the ancient home of Dom Pérignon, comes this wonderful full expressive Blanc de Noirs made entirely from Pinot Noir grapes. A richer style. This is the Grande Marque unquestionably put on the global map by the Boursot family between 1828 and 1960. This champagne has the finest reputation and is in our view the ultimate easy drinking non-vintage champagney. Soft, dry and easy to appreciate. The small grower G. Tribaut in the village of Hautvillers, just outside Epernay is one of our favourites at the moment. This understated wine is gorgeous and is made from 50% Chardonnay and 50% Pinot Noir. It has fine bubbles and is very elegant - light, fresh but with plenty of flavour. Fabulous: a really impressive champagne. If you want GREAT champagne without breaking the bank, look no further. This delicious Blanc de Blancs (meaning made from 100% Chardonnay) has been aged in Bauchet’s cellars for a minimum of five years before disgorgement. The grapes come from their Premier Cru vineyards in the Côte des Blancs (Grauves) and the Montagne de Reims (Bisseuil). This classic wine starts off with a biscuity aroma and has a creamy texture on the palate. A pale, light textured and very clean flavoured wine backed with a slightly floral aftertaste. It is of course made only from the high quality Chardonnay for which PJ is reputed. If kept, the wine will develop the biscuity flavours that many people appreciate so much in fine champagne. Pure class in a glass! The famous champagne with the enamelled anemones on the bottle. This is PJ’s special de luxe cuvée and it is full of fruity, yet elegant flavours. Still young, this has the capacity to age over the next 10 years. An outstanding champagne. One of the greatest years of this most special of de luxe cuvées. This collector’s piece is now 31 years old but, especially being in magnum, it is still in great condition. Very limited stock anywhere. 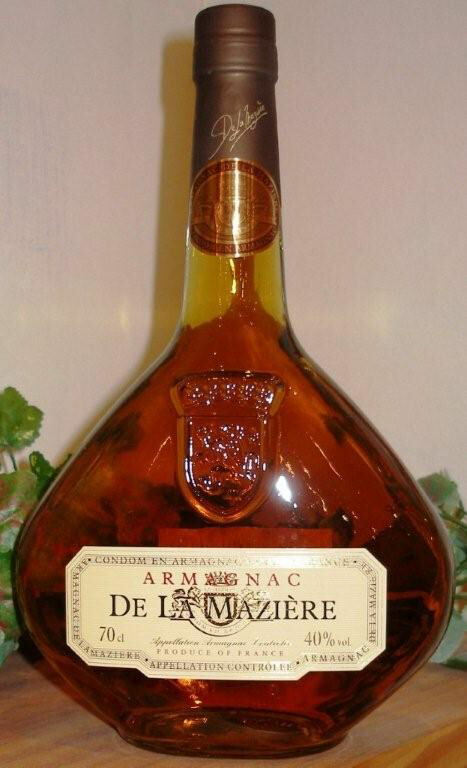 Armagnac has a little more earthiness in its flavour than Cognac. This is a good typical example. VSOP here means it is made blend from cognacs between 5 and 15 years of age. Quite simply: smooth and utterly delicious - this beats virtually any branded cognac hands down. Wonderful value. Light and pleasantly fresh young Grande Champagne Cognac, with floral notes, vine blossom, lime tree, then some fruity notes, citrus peel - they say! To enjoy at any time of the day and perfect for some cocktails. A traditionally made rich amber coloured and full flavoured Armagnac, this is a high quality product from this small producer: great value. Wow – this is almost grapey in its aroma! From a small producer we have been following for some time, this is a classy and delicious 50 year old Armagnac at a most sensible price. An amazing gift. A magnificent cognac. Aged for a very long time in new oak, giving flavours of honey and vanilla with a long finish. Great with cigars or with dark chocolate. A sweet after-dinner liqueur made from raspberries. Also delicious when added to white wine to make an alternative kir. An original sweet after-dinner liqueur made from plums. Or you could even serve it over ice. This superior quality eau de vie is made from morello cherries in Alsace. A local speciality. This superior quality eau de vie is made from pears in Alsace. A local speciality. This spectacular Calvados contains several older “vintages” than stated on the label. It has several layers of apple and vanilla-ey oak flavours. An ideal Calvados for the connoisseurs among you! A refreshing blend of apple juice and Calavos from one of Normandy's best producers. Can be enjoyed either as a refreshing summertime drink or with food such as melon, oysters or even foie gras. Simply, this is the lightly fermented juice of the sweet Ugni Blanc grapes that make cognac, to which a little spirit has been added to arrest fermentation. Similar in style to sherry. Delicious when served chilled. Made from a blend of wines and fruits, served this with ice, straight or with tonic, to create a versatile, refreshing and delicious apéritif. A wonderful discovery and oh, so more-ish! We believe this is probably the best Cassis you will have ever tasted. It is quite extra-ordinary, with its powerful aroma of pure blackcurrants. Easy to appreciate by itself. The tax on spirits is still a lot lower in France than it is in the UK and for this reason, some of our customers like to buy their finer whiskies and other spirits from us. Spicy, rich and vanilla-ey aromas in this triple distilled blended Irish whiskey which has been aged in American oak casks. This is matured in sherry butts and Bourbon barrels "Black Barrel" refers to the supplementary toastingof the ageing barrels resulting in honeyed spicy aromas. A rich and generous taste derived from ageing a selection of Chivas’ rare malts in sherry casks. A smooth creamy texture is apparent on both the nose and the palate, resulting from its maturation in new "American oak" casks. A fragrant and elegant style of malt, with lingering hints of oak and spice. A whisky that has been aged in sherry casks. A rich peaty style. Nadurra means natural in Gaelic. Unlike most modern whiskies, this has not been chill-filtered giving it more body and a distinctively creamy texture. This whisky can develop a slight haze when added to water. Mizunara is a variety of Japanese oak and this is the first whisky in which the ageing is partly done in Mizunara oak which gives spicy notes. This Chivas develops fruity and rich notes from the Single Malt Strathisla, and complexity from the Longmorn. With its fruity and spicy flavours, it is said to make a good accompaniment to foie gras or Parma ham as well as, of course, to enjoy by itself for self-indulgence. The special Chivas Regal in a special gift pack from Italian designer Pirinfirina. With a rich complexity of up to 85 aromas, there are notes of butter, vanilla, dried fruits etc ! 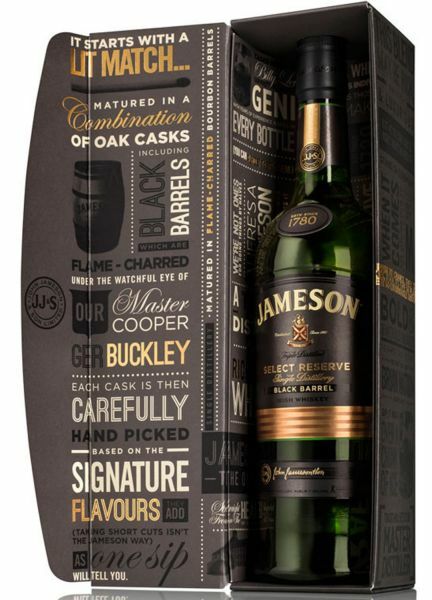 Matured in three different types of oak cask, this has a soft sweetness of oak, backed with a little spicyness. This is a snapshot from our larger selection found on the web address below where you can also place orders and your items will be delivered to your home within a few days. Otherwise you can pick up these items from our Ardres shop. Wine clubs or anyone involved in the guessing the identity of wines should find these useful. An alternative and proven way of keeping the remaining wine fresh once the cork has been taken out of a bottle. Float the special disk on the surface of the wine and voila! This makes a fun present for anyone who appreciates wine: a USB stick disguised as a cork! A clever ring to put around the neck of your bottle to prevent drips after pouring red wine. A good stocking filler! Keep this in the freezer to pull out when you wish to chill a bottle rapidly. Fits wine or champagne bottles. An ideal folding dryer stand, to drain your favourite decanters after washing. This book covers everything there is to know about wine in an easy to use handy format. Intended for both the beginner who just bought his first bottle and the connoisseur looking for in-depth information. Written by three professionals from within the wine business, this book will increase your passion for the wonderful drink that is wine. An excellent present. Our much admired pen and ink cartoons that adorn our Ardres shop are now available for you to buy in wooden frames. Also available unframed at 19,50€. An unusual chandelier made up of cascading wine glasses that creates a great talking point, looking stunning in a cellar or over a dining table.. The chandelier comes with 3 tiers containing 31 glasses (all glasses are included). The chandelier's diameter is 50 cm, H 38 cm. The electric flex is 150cm long. The chandelier takes one E27 max 40W bulb (not included). Some assembly is required. This attractive oval wine bucket holds up to 6 still wine or sparkling wine bottles, with room for ice and water. Made from stainless steel, it measures 38cm wide including handles by 23cm high. The handles are decorated with grapes and vine leaves. Suitable for engraving. These hallmarked, sterling silver cufflinks are modelled on the Burgundian style tastevins, and have the classical chain and lozenge bar. They come in a stylish walnut finish wooden box with mosaic detail and ivory, with a leather like interior. An ideal present for a wine aficionado! There are many more accessories on http://www.boursot.fr/en/accessoires-de-vin/filtres/limit/all.html. shops: £16.95) under some wines indicate comparative net selling prices of the exact same wines and vintages in the UK - after discount, Special Offer etc - prevailing when this list was published. So you can see some examples of just how much you can save by shopping at Boursot’s Wine Collection in France! Pre-order your wines so that you know that the wines you want will be available to you when you arrive to collect your order, and not sold to the last person to have gone out of the door!